Each region has certain characteristics. And that is what makes them famous. There is an area famous for its tourist attractions, regional food, or special souvenirs that you can bring home. Some of these peculiarities have always been the icon of pride of the area. And tourists who can buy or come to the icon of pride in the area will also feel happy. When you visit a tourist place, it seems there is something missing if you do not buy authentic souvenirs from these tourist attractions. Almost every tourist place has a unique souvenir. And that also helps the economy of the surrounding community without realizing it. Many of the residents can open a business and get money from selling souvenirs. And of course, they can make prices as they please according to the uniqueness and distinctiveness of the souvenir. Likewise with Nizhny Novgorod. Nizhny Novgorod is the fourth largest city in Russia which has many favorite tourist destinations. Like the Kremlin, Bolshaya Pokrovskaya Street, Chkalov Staircase, and Cable Car. Apart from being famous for its delicious art, history and culinary delights, this city also has very good authentic souvenirs. Of course if you visit this place you cannot go home empty-handed. It feels incomplete if you don’t bring home souvenirs typical of the tourist attractions we visit. There are lots of souvenirs of this city that you can buy and take home. Nizhny Novgorod souvenirs are also very unique and you won’t be able to get anywhere. Then, where can you get these souvenirs? You can get tourist souvenirs in Nizhny Novgorod as soon as you enter the terminal, airport, or get off the train at the station. The most popular place where you can get a very good original is in the tourist area (historic city center) and sightseeing tours. Like around the Kremlin area, Bolshaya Pokrovskaya Street, the Volga embankment above, and the Chkalov Staircase. Around the streets of this tourist area there are lots of kiosks and souvenir shops. One of the most famous souvenir shops is a shop called “art craft” located on Bolshaya Pokrovskaya Street 43. This shop is very large at an affordable price and you can choose with satisfaction. Because they sell all kinds of Nizhny Novgorod souvenirs. If you have free time you can also go to the souvenir manufacturing factory to learn to make these souvenirs and take them home. It’s easy to get souvenirs in this city, right? In this article, we will give some suggestions about authentic souvenirs that you can bring home from Nizhny Novgorod. As proof that you have ever set foot in this very charming city. Here are the top 7 authentic souvenirs you can get from Nizhny Novgorod. Semenovksaya painting is a souvenir in the form of khokhloma which is characterized by gold coloring and silver tin powder. The painting is dominated by images of nature, the world, vegetables, with a dark background. This painting is sold at prices ranging from 400 to 1000 rubles. Semenovskaya painting is also a souvenir in the form of a traditional Matryoshka doll. Of course Russian lovers already know about Matryoshka dolls. Matryoshka dolls are typical Russian dolls and very iconic. This doll is a fat wooden doll and has a smaller doll in it. And the smaller dolls in it are usually around 5 dolls. If you are interested you have to pay 500 rubles for this souvenir. This souvenir is sold in suburban shops and is very easy to get. You can also visit the factory at Semenov, Chernyshevskogo. 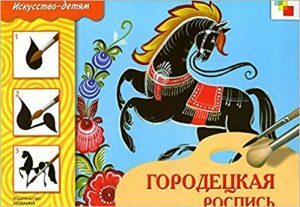 This souvenir is a traditional Russian painting that usually draws knights, women, horsemen, birds and other animals, flower ornaments, parties and weddings drawn on household items, kitchen utensils and gifts. If you want to give a gift and be painted with Gorodetskaya Painting, you can order it. Gorodetskaya paintings are also sold in souvenir shops. It’s easy to find. This painting is truly Russian. if you are interested in buying it you have to pay around 300 to 400 rubles. Besides Matryoshka, Nizhny Novgorod also has another wooden toy, Novinsky Wooden Toy. This wooden toy is usually in the form of a horse equipped with wheels. Small in size so that it can be carried everywhere and become children’s favorite toy. Novinskyb wooden toy is sold at prices reaching 300 rubles. The next distinctive souvenir is no longer painting or wooden toys, but embroidery. The unique embroidery of Nizhny Novgorod has a very unique and cool pattern, namely Nizhny Novgorod Guipure. This embroidery pattern is usually used as clothes, tablecloths, scarves, and to be used as home decorations. Many Nizhny Novgorod residents wear clothes with the Nizhny Novgorod Guipure pattern. This is a very authentic souvenir. We highly recommend this souvenir for you to buy if you visit Nizhny Novgorod. Clothes with typical Russian patterns you certainly don’t get anywhere. If you are interested, you have to pay 2000 to 3000 rubles. The next souvenir is a typical Nizhny Novgorod food. Russia is very famous for its extreme winter. So that people try to warm themselves up by eating gingerbread. And the typical Nizhny Novgorod gingerbread is Gingerbread Gorodets. This Gingerbread is different from gingerbread in other Russian regions. You can see the difference from the pattern, shape and of course it feels. If you want to buy these souvenirs, you can get them at souvenir shops in Nizhny Novgorod and Gorodets, and at the gingerbread museum in Gorodets. This ginger bread is a home production. So the authenticity is still very awake. The shape is also various and very unique. Gingerbread Gorodets are perfect for winter meals with warm tea. Pattern-remise weaving is a typical woven from Nizhny Novgorod. These weaves are usually in the form of clothes, tarp and tablecloths. And the motif most often used is floral motifs. This product is made of natural fabric so it is comfortable when you use it. If you are interested, many of these products are sold in souvenir shops at a price of 3000 to 5000 rubles. This lace is an authentic Nizhny Novgorod lace that has been known since the 17th century. Usually this lace is made by female craftsmen into a very beautiful scarf. This product has a variety of motives and different prices. Usually this product is sold from 200 to 700 rubles. Those are the top 7 authentic souvenirs you can get from Nizhny Novgorod. Nizhny Novgorod provides souvenirs that are very interesting, unique and diverse. Starting from paintings, food, embroidery, woven fabrics, and wooden toys. These souvenirs are very unique and become a favorite of tourists. Besides that, getting it is also very easy. If you visit Nizhny Novgorod, don’t forget to buy the souvenirs above. As proof that you have visited the city of Russian art, Nizhny Novgorod.